Parents and Educational Institutes have reached a point where internet and digital devices are their biggest enemy. No doubt, adults are captured in the same digital wave, but they are responsible enough to distinguish right from wrong. Kids, on the other hand, are caught in a massive wave of a technology explosion, unable to make the right judgement. 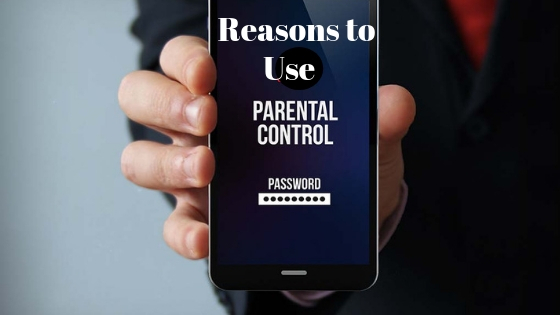 Parental Control apps are hands down the most effective technology to counter cybercrime and secure kids from unwarranted situations. Bit guardian parental control app is easy to use and comes with straightforward guidance. One needs to download the app on their phone and do the same in their kids’ phone. In case you were wondering if the app can be easily circumvented, well no, it can’t. Uninstallation of the app is possible after parental permission. Digital freedom – blessing or curse? Digital devices have brought information and goods closer to human beings. In the era of globalisation, kids have access to a plethora of information on the internet. Cyberworld also attracts false reality towards kids. Many kids have fallen prey to online scams and lost their image and occasionally money. For every pro, there is a con. Technology has been very beneficial for this generation, but often the disadvantages outweigh the advantages. And in the end, the victims, especially children, are clueless about how to handle the situation. This brings us to our main point of discussion about why parental controls are essential. Let’s read. If a significant chunk of a kid’s day goes behind games and applications on their mobile devices, it compromises the time for other essential tasks like studies, dinner, playtime, bedtime, etc. Time management, if taught at an early age is useful. Kids understand the importance of time and value the clock. Cyberworld can be very daunting and confusing for kids. When all seems hunky dory, you may be getting stalked by members in your social media friend list. Many organizations exploit kids’ poor cyber habits, especially the availability of personal data online. Kids are inquisitive in nature, getting absorbed in risky cyber crimes without their knowledge. Cyber safety is not only, but the only option parents have. Track your kids’ day to day online activities using the Bit Guardian Parental Control App. In case you identify anything fishy, immediately block the app or website. Whatever your kid deletes, never goes away. Not even on Snapchat! Knowing and accepting this fact is the first step for parents. Every detail that goes online is stored somewhere. Many time big companies like Adobe, Equifax, Yahoo etc. have been targeted by hackers in spite of the tight security controls maintained by the companies. If company security can be breached, imagine how easily individual accounts and systems are attacked. It is not advisable to add objectionable private content on the internet. Online reputation of individuals plays a vital role in securing jobs. Company HR’s often browse through individual data on social media platforms for a background check. It gives an overall picture of the likes and dislikes of the person, introduces the real personality of the individual (hidden on LinkedIn) and plays a crucial role in understanding the fitment for the company. Parents need to identify any mischievous behaviour of kids online. It may seem “childish” till a certain age, after a point, it can affect the career of your kids. Be very careful! Too much of water can be bad for health! Same way too much of information at an inappropriate age can be harmful. Kids adapt and learn what they see on the internet, without calculating the consequences. It is hard to filter and show content to kids because kids are smarter than you think — more the restrictions, better the loopholes. Have you tried the Bit Guardian Parental control app to restrict and block unnecessary content? Videos are the most powerful content. Kids can easily recall and remember moving pictures and audios rather than still images. It has been observed kids end up performing accidental stunts after watching a silly curated video online. What kids fail to absorb is that - videos are scripted and mostly performed by professionals. YouTube videos have victimised many kids in some way or the other. It starts with merely an engaging and educational channel; later kids get addicted to videos. Best Parental Control Apps 2019! Parental control apps are readily available on app stores for Android and iOS users. This app is as important as Google maps. Without parental control apps, you not only put your kids into trouble but invite trouble for yourself. To get the best protection for your tech-savvy kids’, download the Bit Guardian Parental control app now!